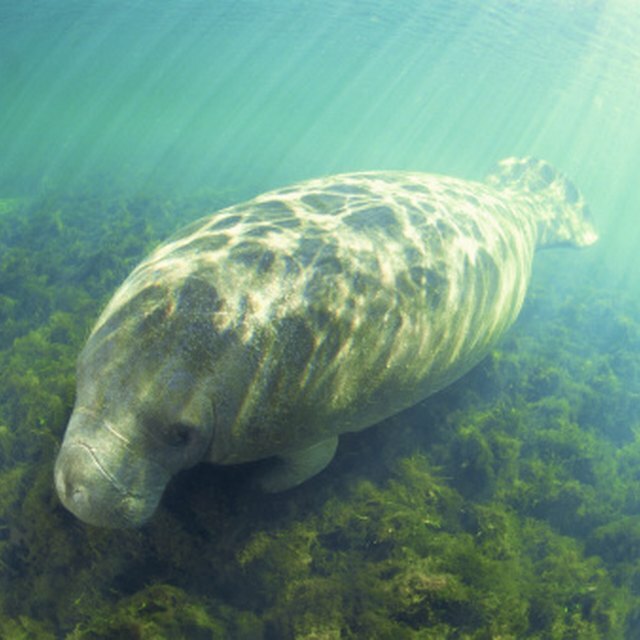 Manatees, sometimes called sea cows, are large mammals that live in warm sea waters. They live in shallow coastal areas and feed on sea vegetation. 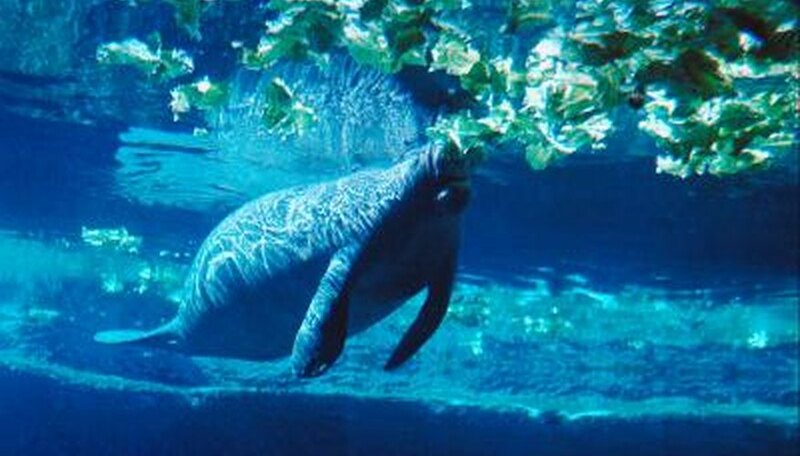 Manatees have a life span of fifty to sixty years. Full grown manatees weigh from four hundred pounds to over a thousand pounds and can reach ten feet in length. Female manatees reach sexual maturity between the ages of two to five years old. She may be pursued by up to twenty male manatees at a time. Mating takes place all year round. Once pregnant, the gestation period lasts between 385 to 400 days. Newborn manatees are called calves. Manatees have one calf or more rarely, two calves at a time. Newborns stay with their mother for at least a year. Some calves stay with their mother up to two and a half years. After birth, the mother brings her calf to the surface to breathe. The calf nurses underwater and does so frequently. The mother teaches its young the environment and how to graze for vegetation as it grows. Full grown manatees eat over 60 pounds of manatees every day. Taylor, Ruth. "Life Cycle of a Manatee." Sciencing, https://sciencing.com/life-cycle-manatee-5347308.html. 24 April 2017.